The SFDB artist chats to us about his group Ugly Heroes, linking with the label and producer Secondson, his forthcoming projects, the UK scene and lots more. OK, the name’s Conrad Watts, solo artist on SFDB records and one half of the Ugly Heroes. What’s an interesting fact about you which will make people carry on reading this interview? I’m one inch off being officially a giant and I’m currently homeless! Not that it should sway people either way. Tell us a bit about Ugly Heroes for those that aren’t familiar with that material. For those that dont know, the Ugly Heroes comprises of myself and long time rhyme partner Clarity. We basically started writing at the same time, lived in the same town, and had the same outlook on life. We did some demos, shopped them about, and ended up hooking up with Sir Beans and Secondson through them. There’s plans for putting an album out on SFDB. We got P Xain from the GLC doing the bulk of the production work. Some of the beats he’s coming out with are incredible man. We were approached by Disorda to do a tune for Suspect Files Vol 3, so if anyone wants to hear the calibre of the tracks, thats a good one to check for! Why did you decide to work on solo material and how’s this aided your creative process? Well it all started when I got the call to do the “Secondson & His Orchestra” LP. That day was a bit daunting for me. I can remember Lewis Parker sitting on the sofa in the studio as I was dropping my takes, which alone made me step up my game! It seemed to work mind. Secondson liked it and plans for solo material just seemed to roll from that day. The label thought it was wise to focus on me and Clarity as solo artists before dropping a group project on people, which I agree with, so that’s what we’re doing now, building a rep and name individually before we pull out the big guns! What’s your forthcoming single called and what can heads expect from it? The single’s called ‘Life Time’. It’s set to drop on the 24th of April. What can people expect? Four of the tightest string based, layered vocal, neck snapping bangers to date. And the rhyming aint too bad either. Why did you decide to have Secondson producing each of the beats, and what other producers have you been working with? Basically we wanted to create a sound for the record. The “Life Time” EP has a distinct sound which comes from working with one producer. There are plenty of other people that I’m collab’ing with. Mista D from the Gutter Dwellers is now on the production roster for SFDB and I’ve approached people such as Ghost, First Aid, Wizard, Wyt Fang, and Intex from Cardiff for beats, all of which have said they’d be up for working towards projects. We’ll just have to see what comes of it. I’m a busy man at the minute. How much of an advantage has the Secondson partnership been for your music, and the whole SFDB connection in general? It’s been a massive one. For a relatively unheard of artist to have his debut release on vinyl alongside the likes of Jehst, Lewis Parker, Sway, Task Force and Rola, that’s massive, and it couldn’t have happened without Secondson. I feel blessed to be part of the label, and like I said before, it makes you step up your game when you’re chucked into a room with some of the UK’s finest! It must be quite a privilege to be a part of the crew and share everything down to the cover sleeve theme. Yeah man. SFDB is exactly what those letters stand for. It’s Family. What can people expect in terms of production and topics on the album? Secondson said from the beginning that he wants to solely produce mine and Clarity’s first albums, and I’m not gonna argue with him! The album is in progress now. It’s gonna be heavy on the string/folk tip, as well as having some straight up belters. What I write tends to depend on the beat. There’s gonna be some more introspective tracks, some political ones and then some of your basic head-nod/wordplay tracks. I try and mix it up conceptually, not trying to go too deep or leftfield that you alienate your typical hip hop fan, whilst not going along with all the typical rap cliches. What artists are you most enjoying of recent times and who’d you like to collaborate with some day? Being honest, I dont listen to that much hiphop nowadays. But the people that have continually killed it for me are folk like Cappo, Xeno, Lewis Parker, Rola, Jehst, Humurak D. Gritty and of course my man Clarity. I’ve collab’ed with all those folk, bar Cappo, in some shape or form, be it on tracks or separate projects, so if Cappo picks up the 12, likes it, and promises not to kill the guest spot too much, that’d be dope! Who’d be your tip for the top in terms of dope up and coming people in the UK hiphop scene? I dunno man. There’s too many. It’s a good time for the scene. There’s a lot of people, myself included, who have been steadily working away who are just now making the right sort of links and getting the right kind of exposure that they deserve. But my money would be on mans like Baron Samedi & Humurak D. Gritty. There’s something special there. What’s the ‘Self Construction’ project all about and what else do you have in the works? 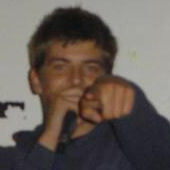 The project was started by Rola from the Numskulls, and a remake track, featuring 15 heads from the Bristol scene. After that 12” was dropped I think that “Self Construction” was adopted as an umbrella name for any group project or collaborative EP that was coming out through Rola. I haven’t actually got a copy of the “Construction Series” EP so if you’re reading, hook me up with a copy boh! Outside of hiphop, what are some of your music tastes and general interests? I grew up listening to bands like Soundgarden, The Police, The Jam, but nowadays I mainly listen to groups like Sigur Ros, Arcade Fire, Further Seems Forever, Emery & the Mars Volta. General interests? Well, I played basketball from the age of 8, my Dad’s an advanced coach so I had a little help there and I’m currently trying to learn Hebrew, but that aint going too well. Have you got any shout outs or plugs you’d like to make to round this up on? Yeah, to all the SFDB fam. Sir Beans for seeing the potential and investing the time, Rola, Barnsey, Neucleus, Neutronixx, the late Michealis Constant, Wassif and all the Birmingham cypher. Check out the “Life Time” EP out 24th March, Clarity “Way of the Dragon” out now, Suspect Files Vol.3, and last but not least you have to check out Plague, Xeno and Secondson. That shizzle will blow your mind! 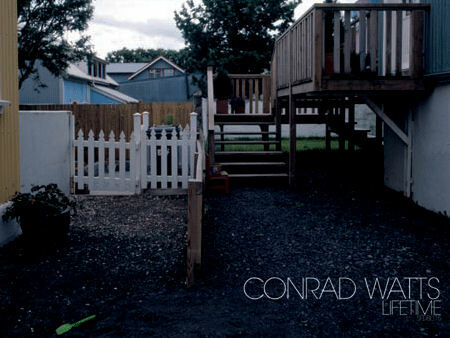 Check out the official Conrad Watts Myspace page to hear his dope tracks and the official SFDB label website now.